Your business needs a partner that can help you cost-effectively design, build, and maintain a converged network infrastructure that provides you with a competitive advantage. Telecom Technicians, Inc. (TTI) was established in 1984 as a provider of network installation services. 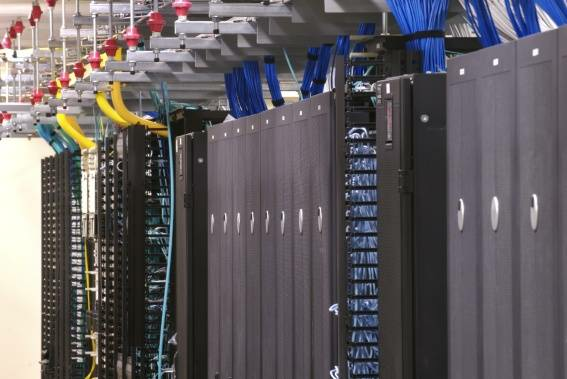 Our centralized offices in Michigan, Ohio and Texas provide you with a partner that you can rely on as a provider of enterprise communication systems, LAN/WAN networking, structured cabling solutions, security monitoring, and carrier central office design, engineering, equipment furnishing, installation and testing services. TTI has deployed premier carrier and enterprise IT networks nationwide. Building and maintaining a competitive edge for our customers by ensuring that their networks meet their business needs and objectives has enabled TTI to sustain the highest level of customer satisfaction. In fact, with over 25 years of experience in deploying some of the nations most advanced network solutions, we are recognized as a strategic partner in integrating networks while providing the most rapid, timely, cost effective and highest quality projects. Today, TTI is comprised of three business groups. Think of TTI as your total solution when it comes to corporate enterprise networks, carrier services, business systems, security systems and more. The Business Systems Group (BSG) installs PBX/VoIP solutions, LAN/WAN Networks, Structured Cabling Systems, and Paging for corporate enterprise networks. Additionally, the BSG group uses their project management expertise to specify and design the proper electronic and installation solutions to fit our customers needs. The Move, Add, and Change Group (MAC) handles systems maintenance for TTI's customers and provides 7/24/365 support. The Carrier Services Group (CSG) designs, engineers, furnishes and installs Carrier Central Office Network Transport, Power, CEV and Wireless equipment for the Regional Bell Operating Companies and Competitive Exchange Carriers. With our national resources and Service Centers, we are able to quickly complete installations so that your network is up and running, providing service and earning revenue. The Security Systems Group (SSG) delivers turnkey services for clients from security assessment and design through system installation and commissioning. TTI can design, build, service and support complete IP based CCTV surveillance, Access Control, and Intrusion Detection systems capable of protecting your corporate assets wherever the location. We can develop and provision the appropriate service, maintenance and monitoring package to suit your business premise, intellectual property and personnel security needs. TTI's objective is simple: "Provide the best possible network services through our commitment to quality management." This objective and TTI's ability to link people with technology has created many opportunities for our customers to improve productivity and achieve their goals.